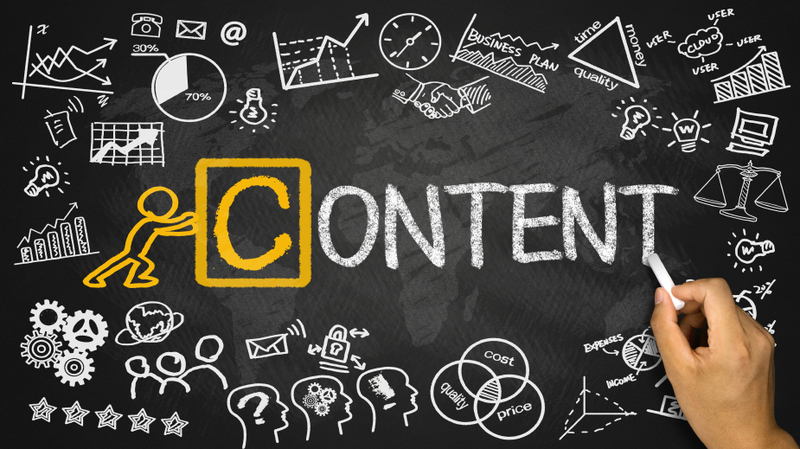 Content marketing in the digital age is largely about Education and Entertainment. Providing Valuable Information will make Internet Users more likely to trust your brand and subsequently purchase your products or services. That’s one of the reasons why Blogging is so effective. But before you can start blogging, you need to think of the topics you’ll be addressing on your blog. If you’re blogging for your own business, you’ll already have a set general industry that’ll provide a jumping-off point. But you’ll also need to dete rmine who your audience is and what they want to know. The key to coming up with topics is putting yourself in your readers’ shoes. What kinds of questions are your readers searching for on Google? What information can you provide that would make their lives easier or would amuse them? See what kinds of topics your competitors’ blogs are covering and assess ways you can improve or expand on similar topics. Talk to your colleagues and consider the FAQs you receive on a regular basis. These can all be excellent sources of inspiration for your blog posts. A blog post isn’t complete without an enticing title. Your blog posts titles should be accurate, meaning they reflect the actual content you’ve written and don’t fail to deliver on promises. But the Content should also be catchy and clickable. Strong language choices, alliteration, and numbers are all quite effective. You’ll also want to help readers instantly understand the value of clicking on your post. There are a lot of different formulas you can mix and match (there are even blog post title generators!). Ideally, your final version should trip off the tongue and make readers know that the time they spend clicking and reading will really pay off. If you can really nail the title, you’ll be halfway there. After all, your content won’t be read or shared if no one bothers to click on it. The quality and relevancy of your content matters the most, but there are some other elements you can’t forget to include. You can’t simply rely on a bunch of text to capture the attention of your audience. You also need some photos or other visual assets. In fact, some data shows that blog posts that contain images receive 94% more views than posts that have no images at all. You should also include links — both internal and external — to cite your sources, add credibility, and keep visitors on your site. And don’t forget to end each post with a call-to-action. Implore readers to contact you, to comment with questions, or to subscribe to your mailing list. Whatever you choose to plug should correlate with your business’s conversion goals, but it should also serve to help customers too (by providing additional assistance or even a discount). One last thing about blogging: you’ve got to do it regularly. You don’t necessarily need to post something new every day (or even every week), but you do need to make blogging a priority. If a visitor comes to your site and sees that your last post was published two months ago, they may very well take this to mean your company isn’t very trustworthy. That may be far from the truth, but blogging regularly shows you’ve taken a serious interest in your customers and that you’re a leader in your industry. By updating frequently, you’re showing your audience that you’re invested in their experience and that you’re dedicated to providing superior service. It may take a little while to get the hang of blogging: “Rome wasn’t Built in a Day, After All”. But if you keep these tips in mind and are committed to furthering your blog-ucation, you’ll be a content-creating rockstar before too long.